SHORT TERM GAIN, OR A LONG TERM AVIATION FOLLY? Without doubt the western world is heavily in debt, with trillions being owed to debtors around the globe. The problem is probably worst in Europe, with the UK roughly in the same boat, but that is another story. In principle I agree with and admire the steps the USA is taking in order to draw down its deficit. However, I am of the opinion that this ‘blunderbuss’ approach to the expenditure savings in military aviation is mere short termism, when a more balanced and considered approach should be taken. I am referring to the cut backs of aerobatic/demonstration teams ie: the Blue Angels and the Thunderbirds. It should be noted that other countries have aerobatic teams and there are good reasons why. See below. I digress slightly from the main thrust of my article, which centres on the short sightedness of the curbing of displays by the military in the States. I am referring of course to the fact that at the present moment both the Blue Angels and the Thunderbirds are no longer doing displays at public air shows under the auspices of “Sequestration”. Surely a folly beyond comprehension? Aerobatic teams giving displays are the best and most cost effective “recruiting sergeants” of future pilots who want fly and join up. Not only for pilots, but for mechanics who want to be part of the best. I wonder what the cost of a network wide advertising campaign across America for recruiting pilots into the US Navy, Marine Corps and the Air Force would be? Production costs, ongoing broadcast fees would be enormous. Also there would need to be three different recruiting advertisements as carrier flying is totally different from that of the Air Force. How often could these ads be run? Even then, TV advertising is not nearly as powerful as seeing a hard copy of the real article demonstrating its power in person. Consider national prestige and pride. 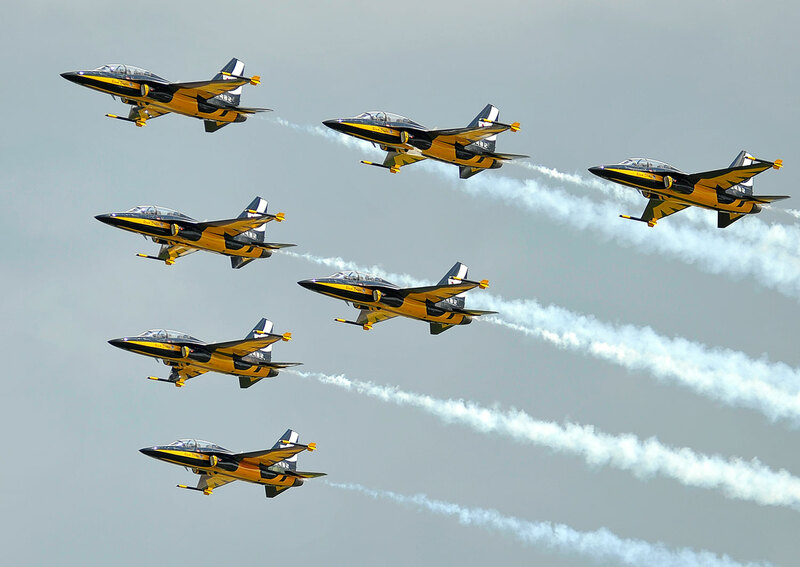 All nations that have significant Air Forces maintain a national aerobatic team. 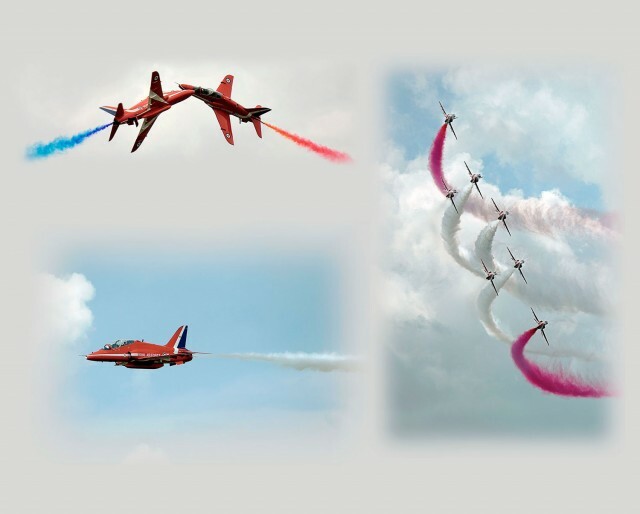 In addition to the USA and UK teams, there is the French Air Force’s team – the Patrouille de France; the Italian Air Force’s Frecce Tricolori and the South Korean Black Eagles. 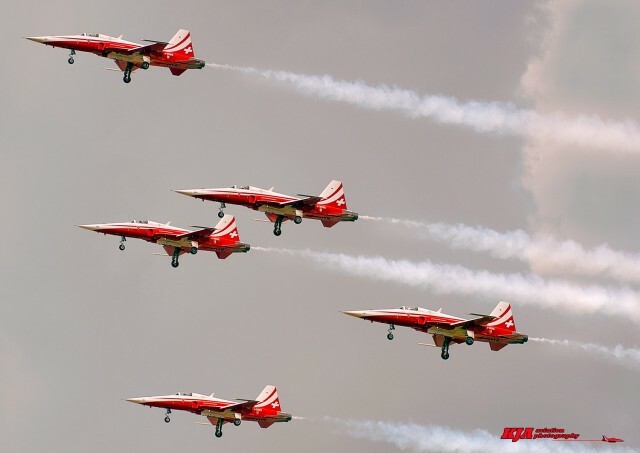 Even the Swiss Air Force has its team called the Patrouille Suisse (see more teams at aerobatics.net). 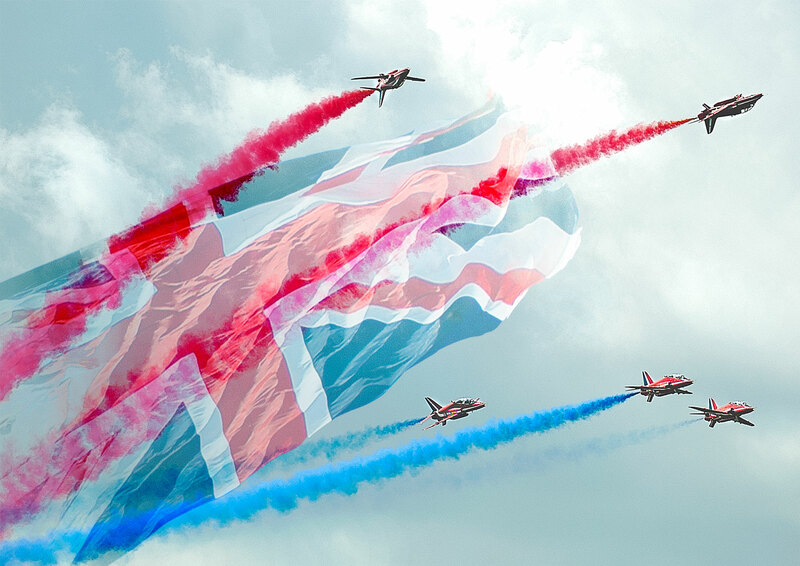 Such aviation display teams are viewed with great pride by their nations. What can possibly better showcase a country’s aviation prowess? In addition, The Red Arrows have probably sold more Hawk aircraft to customers as a result of their overseas excursions than any salesman! As human beings we love to belong to the best. Whatever sphere of life we follow, being part of an elite is a major driving force. It gives us something to aspire to. 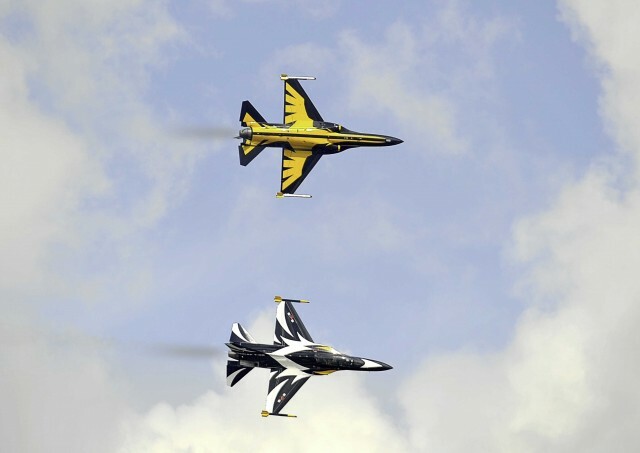 Deep down all of us love to show off and being part of a top aerobatic team is no exception. It is the pinnacle of a flying career. The esprit de corps, the consciousness and pride of belonging to a special group, the shared purpose and fellowship.Take that away and what have your ‘Top Guns” to aim for? I suggest no top display team, no esprit de corps. From the fellowship and discipline required, such skills filter downwards and even upwards no matter whatever organisation you belong to. Everybody wants to be associated with a successful outfit. Working for an aerobatic display team develops airmanship and pilot skills which simply cannot be replicated elsewhere. Being a wingman or flight leader has its virtues, but can it match the concentration, the hand eye coordination, the close spatial awareness required for precise formation flying? Consider the crossover of two Singletons at combined approach speeds in excess of a 1,000 mph or forming up on the leader following a 7 bomb burst or maintaining interval in a tight loop as part of a 9 ship formation under a low cloud base. Finally, what about the tax paying public? Where else can they see such a positive result from their hard earned tax money spent on the military? Very few see the military work on the bomb ranges, carrier operations at sea, or air combat training day or night. 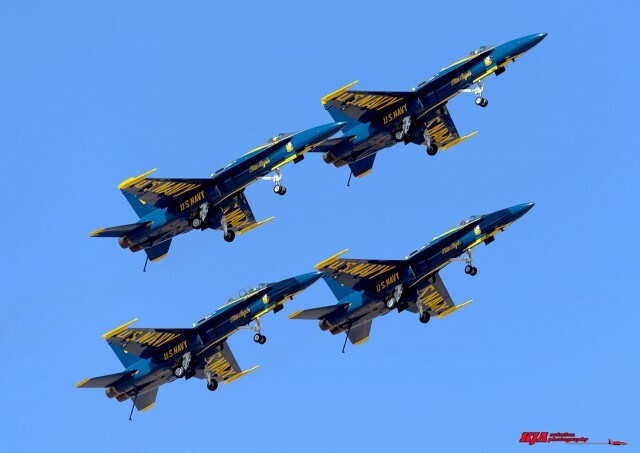 These are a few pointers supporting my opening headline but is grounding the Blue Angels and The Thunderbirds short term gain – long term aviation folly? More often than not, what America does today, we in England follow suit. I fear the same cuts in the UK will occur sooner rather than later. I hope I have provided some “Food for Thought” for you to tackle your Congressman and Senators. Over here, perhaps I should do a pre-emptive strike on my own politicians before it is too late?